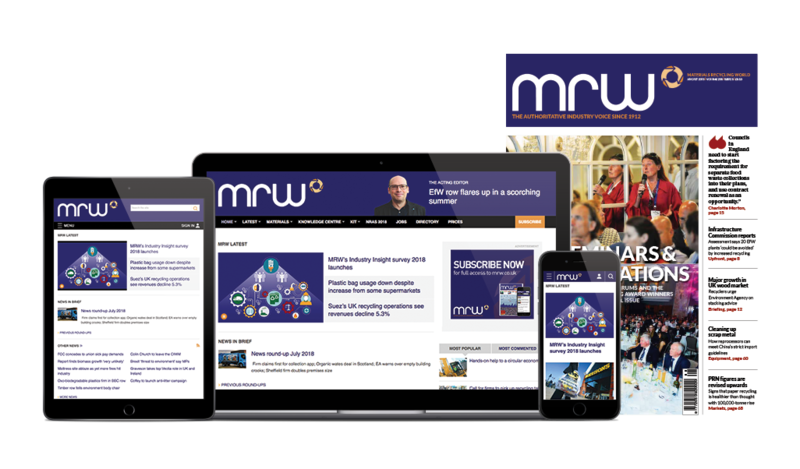 The new owner of RWM says it will make the event more business-focussed and is promising a reversal in its fortunes as it was the “jewel in the crown” of its expanding portfolio. Prysm Group bought the recycling and waste management show from Ascential on 29 December, and an early move was to switch it from a three-day event to two days: this year on 12-13 September. Marketing director Hassan Allan told MRW that RWM had been losing momentum under its previous owner but it fitted Prysm’s existing environmental events which promised greater crossover and shared themes. Combined with Flood Expo, Marine and Coastal Civil Engineeering, and Contamination Expo, RWM became the jewel in Prysm’s crown. ”It wasn’t getting Ascential’s love,” said Allan. “It has £60m+ [revenue] shows. So £5m was not a big deal to them but it is for us. Event director Nick Woore said changes this year would be designed to boost footfall, with other changes coming in years two and three. The number of seminar areas was being expanded from six to 16 and there would be more opportunities for exhibitors. Prysm is considering allowing pre-booking at certain sessions, such as live demonstrations. The external area would be retained and RWM will still be housed in halls four and five of the NEC. But it will be two days and not three by reason of “simple maths”, reducing exhibitor costs over an extra day and increasing the return on investment over two days. Even so, exhibitors will be expected to pay the same for a stand over two days as they would have done for three. One strategic change is to target sectors and create specific areas of the show dedicated for them, including sub-brands. Woore said visitors came with budgets and agendas to improve their business, department or team, so it was important to give them the right information. Allan said he and his colleagues at Prysm were experts at running exhibitions but new to the recycling and waste management sector, and were talking to influential and thought leaders to help drive the content.